Offered exclusively by Great White Adventures! Ask yourself, "Would I rather be in a cramped fishing boat? 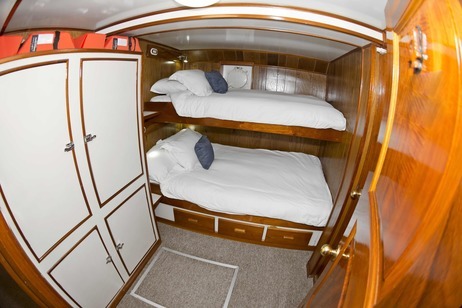 Or would I enjoy comfortable surroundings and lots of space on a nice yacht?" The Solmar V's amenities are far superior to any sport fishing vessel out of San Diego. 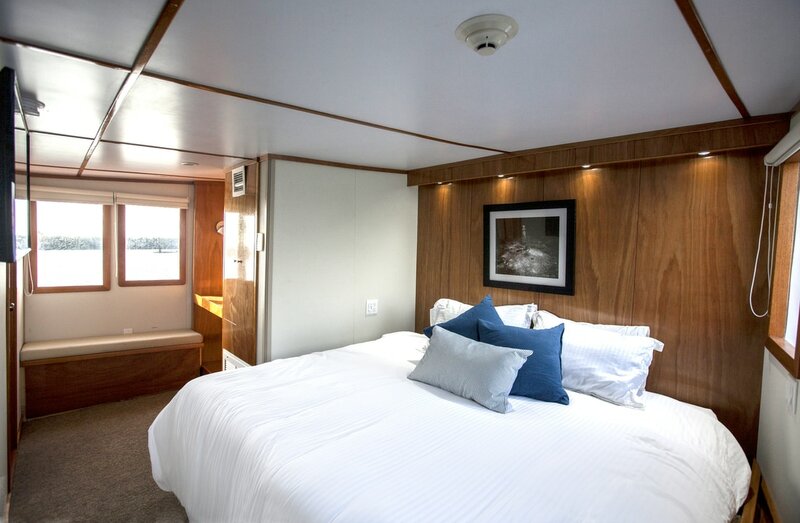 Simply put, you wont be as comfortable on any boat sailing from San Diego as you will be on the Solmar V.
There is plenty of outside space for relaxing on padded lounges - great for enjoying the shade or getting a nice tan. ​The galley and lounge have also been carefully designed to guarantee a most enjoyable setting. The main salon comfortably seats all of our guests, is fully air-conditioned and designed with a rich mahogany interior. HD Televisions with DVD are available for your entertainment both in the salon and in each stateroom. Bar Service & Gourmet Food! Each day brings three gourmet meals, prepared by our chef and served to you by our staff. Snacks and afternoon receptions, along with beer, wine and soda, are all included in the price of your trip. You can even lay back and relax and let the crew deliver margaritas and snacks. Starting at $3095 per person plus 16% Mexican IVA tax. 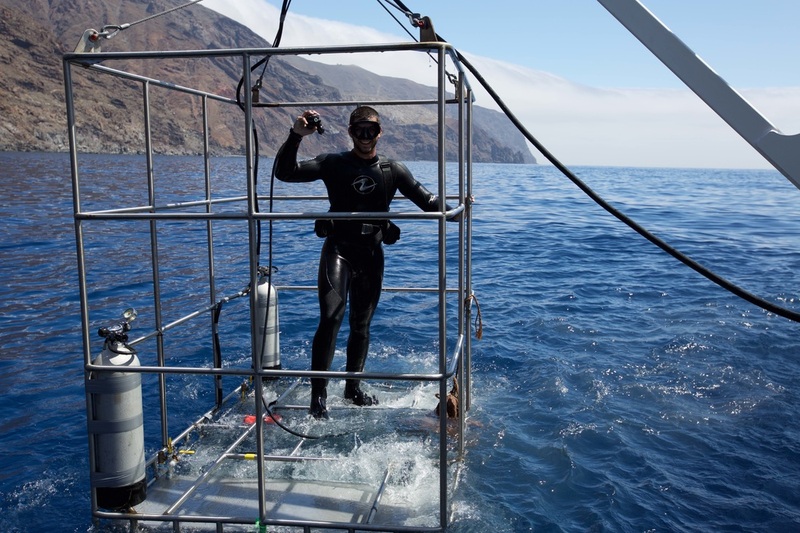 Includes: 3 days of cage diving, diving air, weights, weight belts and all meals. Does not include Park fees $15 ($5 per day) per person payable on board. We'll take you by private motor coach from our host hotel in San Diego to departure port in Ensenada. 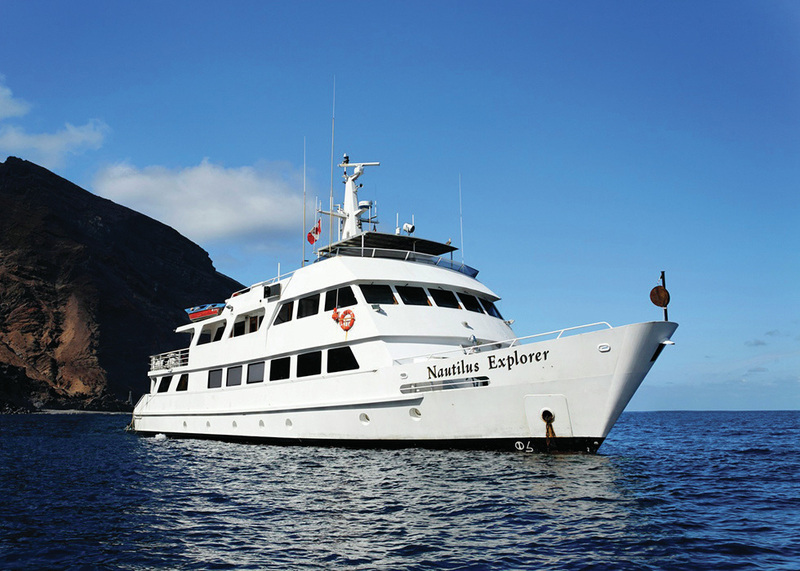 Now offering luxury cage diving on the Nautilus Belle Amie - Guadalupe's LARGEST LUXURY LIVE ABOARD! The "Nautilus Belle Amie" is the largest most luxurious live aboard shark diving vessel on Earth. At 140 feet long, 33 feet wide and 500 tons she is incredibly spacious and stable. 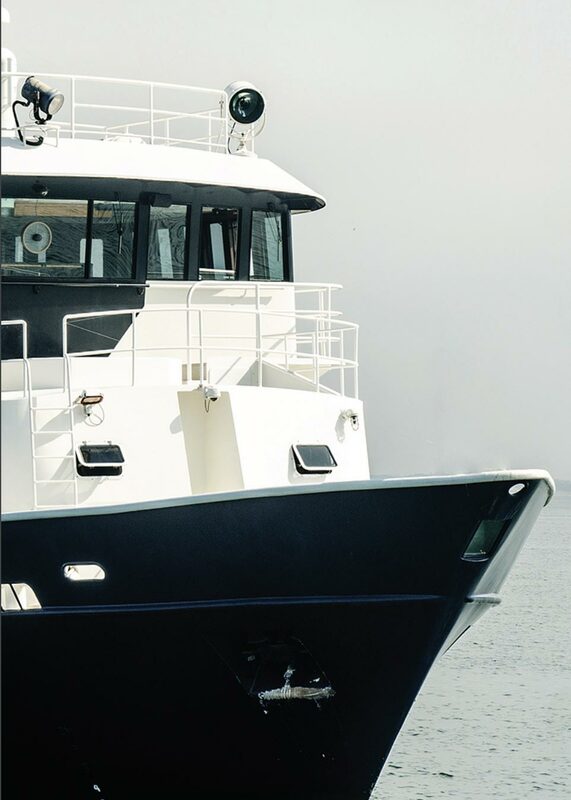 Built in 2005 at Bollinger Shipyard USA, and completely refurbished in 2014 with a new interior and dive equipment. Sat phone communications and internet are available onboard. Passengers will be able to post images and video to social networks while at sea. Live streaming will be available for a fee. 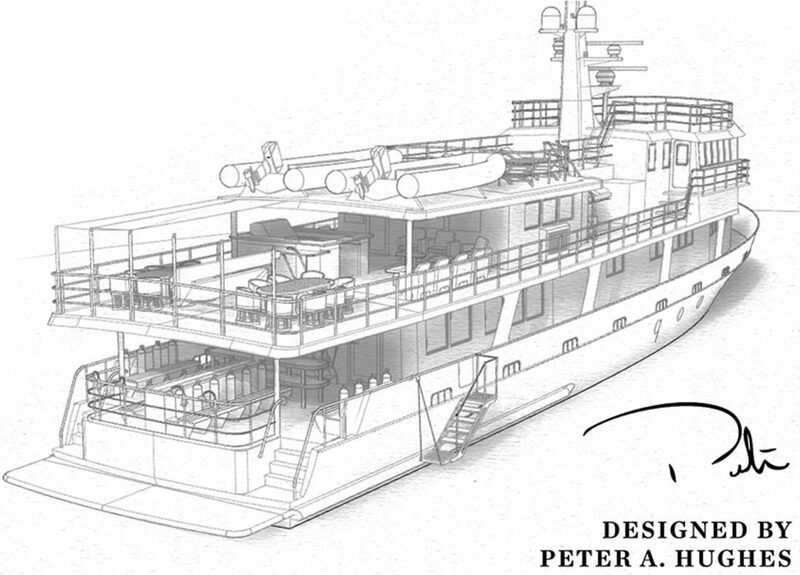 The Nautilus Belle Amie has a steel hull and super structure built with the highest standards and craftsmanship. This beautiful ship has everything! 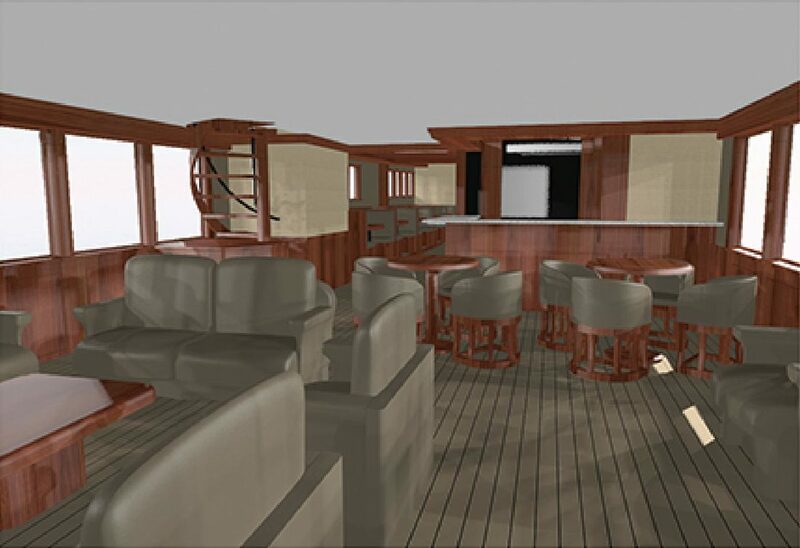 With 2 Premium suites on the main deck that can be combined into 1 VIP suite. The upper deck has 6 Superior suites with ocean views. 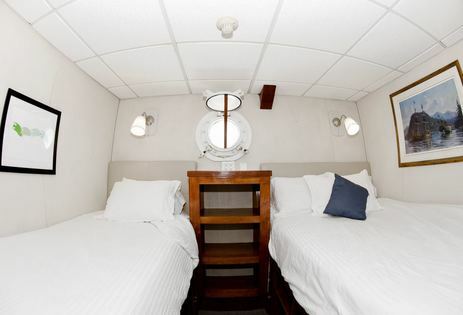 The lower deck has 8 Staterooms and 1 quad berth. She has a enormous interior dining room and lounge area. There is a huge sun deck on top with a bar and hot tub. 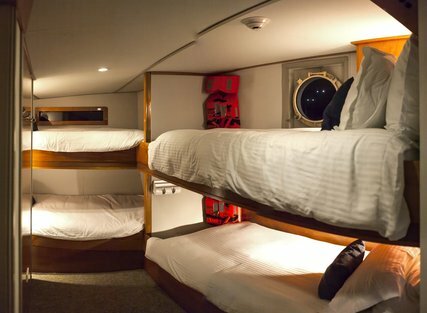 The Dive Deck is massive with all the space and amenities you can imagine. Starting at $3,095 per person plus 5% Mexican IVA tax. Includes: 3 days of cage diving, diving air, weights, weight belts, all meals and soft beverages. Port and Park fees ($65pp payable onboard). Rental Equipment available on board. You will meet in San Diego outside the host Hotel at 7pm and be shuttled from there to Ensenada by luxury private coach. Nautilus Belle Amie departs Ensenada after 9:30pm. For a small ship, the Nautilus feels "plenty big". ​There is ample room to find a quiet place to read, chat, fill out your dive log or journal or work on editing the images you shot that day - whether in the separate dining room, main salon or one of the upper sundecks. And there is nothing like a soak under the stars in the sparkling clear fresh water of our hot tub after a day of diving or exploration. The main salon also serves as the ship's entertainment centre with very "comfy" couches, a great library, a well stocked bar and select evening video showings, presentations and slide shows. Starting at $3095 per person plus 5% Mexican IVA tax. This is a six-day trip with evening departures from Ensenada after 9:30pm. You will meet in San Diego at our host hotel at 7pm, then be shuttled to Ensenada by luxury private coach. The newest luxury live aboard serving Guadalupe. This veteran ship may look familiar to some shark fans. 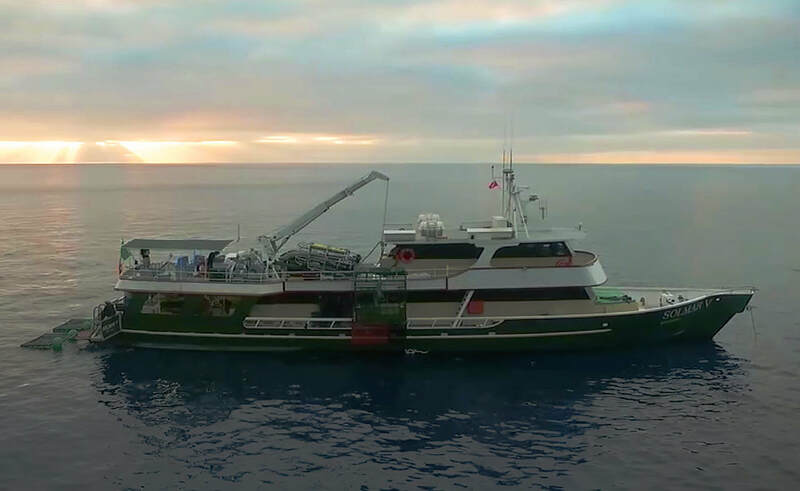 This lovely vessel was formerly known as the Undersea Hunter from Cocos Island fame. Sturdy and comfortable the Under Sea is our limited load expedition vessel. With a passenger load of only 18, this is a great option for small groups and white shark aficionados that appreciate the "less is more" idea. The Undersea is also a great option for a "Shadow vessel" for Mega and Giga yacht service. 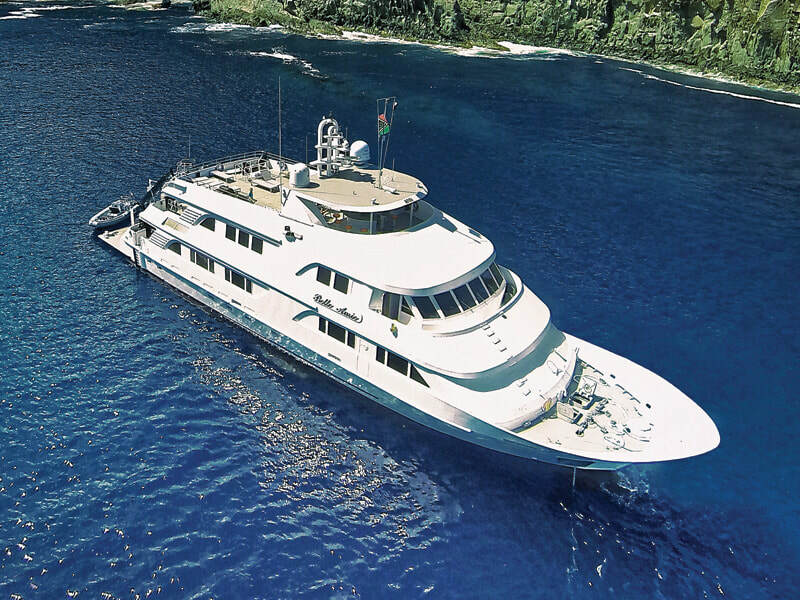 ​She has all of the amenities of a BIG boat in a smaller package. Under Sea is a superb platform for documentary and film crews! Starting at $2,795 per person plus 5% Mexican IVA tax. You will meet in San Diego outside the host Hotel at 7pm and be shuttled from there to Ensenada by luxury private coach. ​Nautilus Undersea departs Ensenada after 9:30pm.